The news and trends in the Charlottesville market are mostly good. – Well-priced homes that are turnkey are typically going under contract in under 60 days. Quality inventory remains a challenge. – Prices seem to be up across the board. – Note that these are broad overall trends. 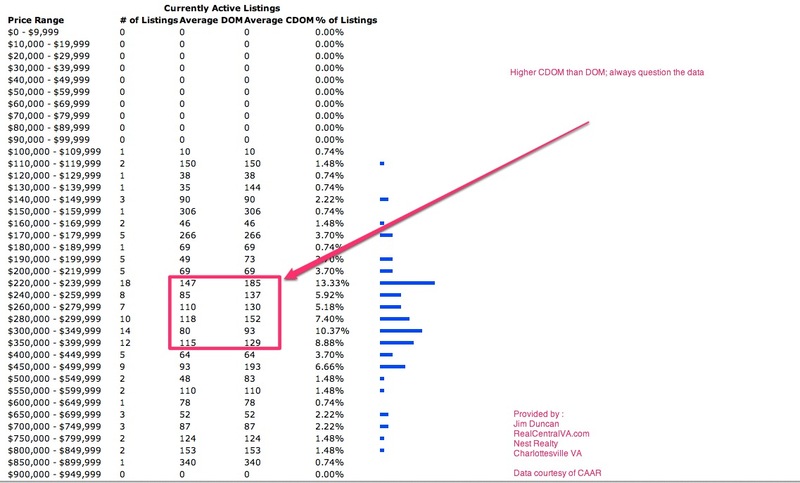 Long-time readers know my caveats that “single family homes in Charlottesville City” means all single family homes in the City of Charlottesville â€¦ those that are priced below $200k and those that are priced above $600k â€¦ and everything above, below and in between. See the chart below for a reasonable justification for questioning all data. Download the full 3rd Quarter Market report here or click through to read an embedded version. We’ll be releasing Nest Realty’s 3rd Quarter Market report in a few days â€¦ stay tuned.